As the summer season starts to approach, residents of Naples need to watch out for the infamous cane toads. 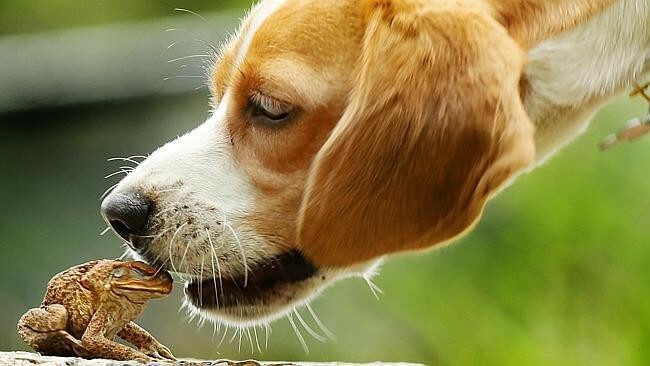 Many dogs will chase around cane toads, and then lick them or touch them with their nose. This is very concerning because cane toads have poison that is released when they feel threatened and it is toxic to dogs. Dogs are attracted to cane toads because they love chasing around animals. Some people decide to kill the cane toads before they can get to their dogs. Cane toads are quickly becoming a problem in Naples during the summer months.To decrease the risks involved with these toxic toads, people should never leave their dogs unsupervised outside, and always look around their backyard for them.